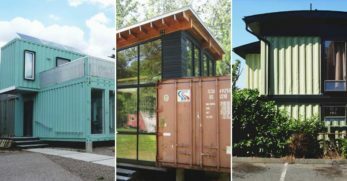 So you have some spare space in your garage, basement, out building, or even attic. What do you do with it? But how do you decorate it? 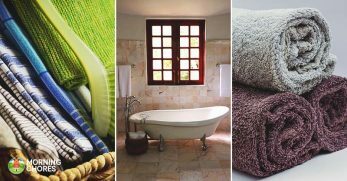 What are some ‘must haves' to complete any man cave? 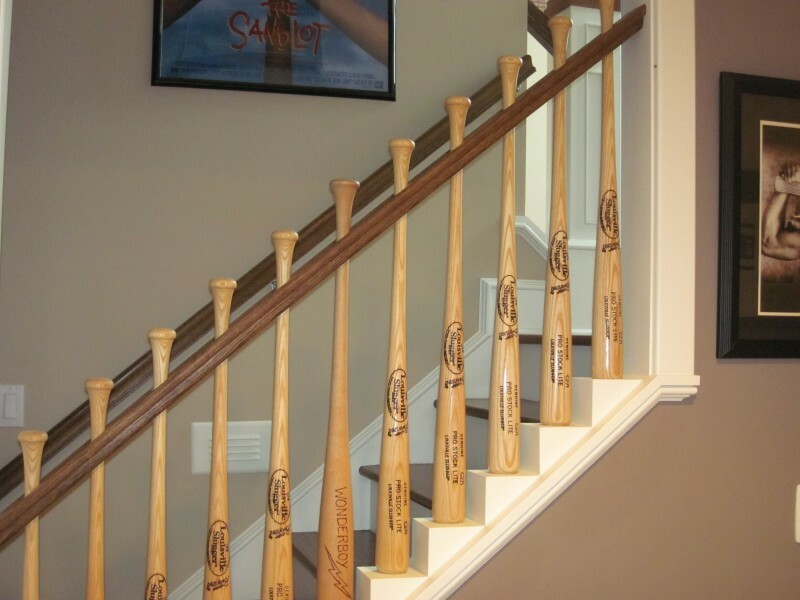 If you are a baseball fan and have steps to get in and out of your man cave, then you may really be interested in this idea. Basically, they replaced the stair banisters with old baseball bats. 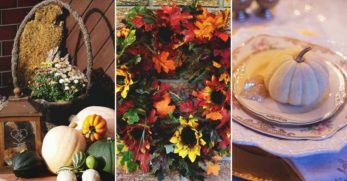 It seems really simple, but also a great way to welcome yourself (and guests) into your space. This is not a cheap buy. It is something that you’ll have to invest in, but I’m sure you could shop around the internet to find the best deal. But this is your own personal arcade gaming system that can play a bunch of different games. How cool would that be? Just because it’s a man cave doesn’t mean that you won’t want to hang up a few pictures. You could have pictures of those you love hanging in your space, or of great adventures you and your buddies took. Either way, if you are a hockey fan, then you’ll love this idea. 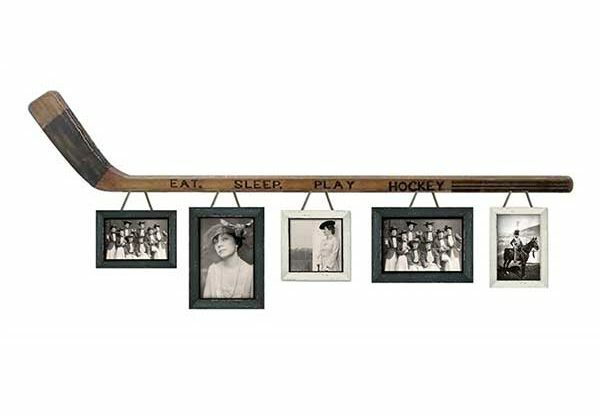 They use the hockey stick as a way to hang the pics and then allow the pictures to hang down in separate frames. Whether you would use this as a bar or just as a place to hang around in your man cave, you have to admit, this would be awesome. Seriously, if I had the space, I’d love to have this in my kitchen! Who wouldn’t want something this jaw-dropping somewhere in their home? 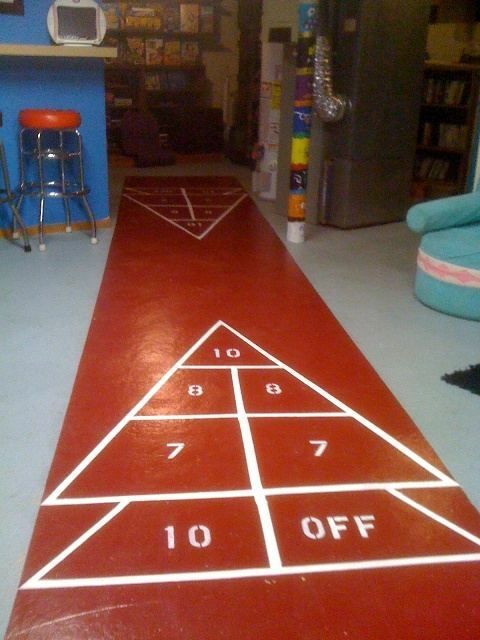 If you have a concrete type of floor in your man cave area, then you might like this idea on painting a shuffleboard on the floor. So you’ll just need to follow the tutorial, but I love it because it is always there and easily accessible when you and some buddies want to play. This item is actually no longer for sale on Etsy, but I was hoping you could still use it as inspiration to make your own. But if nothing else, you can follow the site and it says you can find someone to make something specifically for you. Some guys have their man cave on a back patio or in a garage. This Murphy bar would work quite well in any of those areas. Or you could even have one in a basement setting as well. 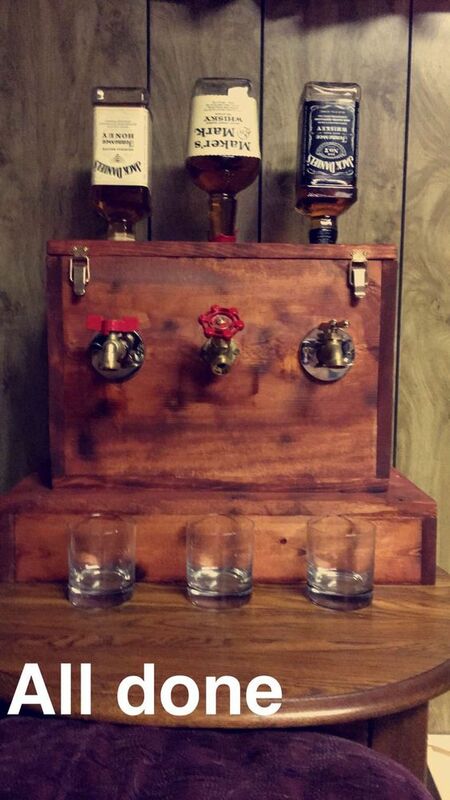 Either way, you can follow the tutorial to have this nifty and efficient bar in your man cave area. This lamp is another item that was available on Etsy, but the site says is not available right now. Yet, it is still such a cool idea, it could inspire someone to create their own. 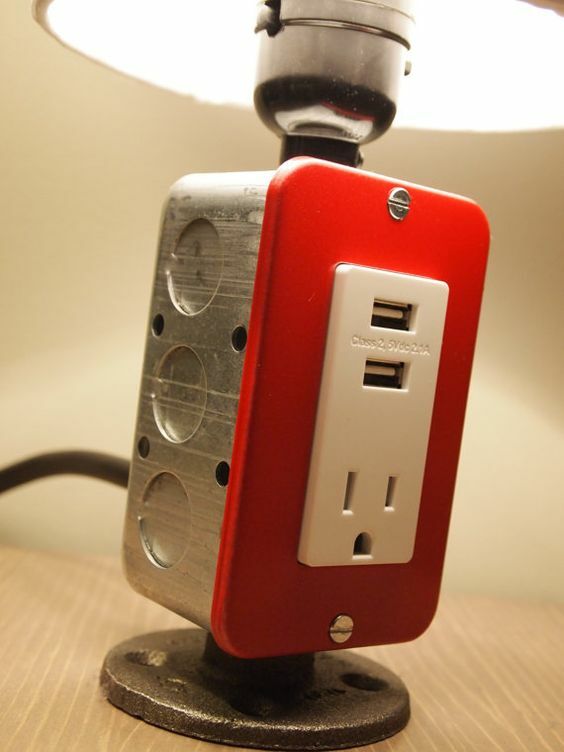 So this lamp is a table top lamp and charging station. If you don’t feel like you could recreate this, the site says you could look around and hopefully find someone to make it for you. 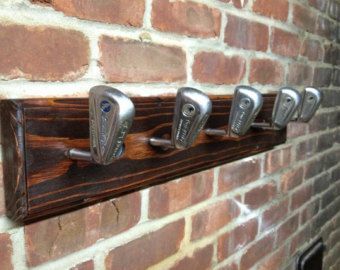 This is a great idea because we all know that having a place to hang our keys is a necessity no matter where we are. Otherwise, you could be like me and lose them constantly. With this neat idea, part of the buckle goes on your keys and the other part hangs on the wall. This is another idea that is thrown in here as inspiration. But if you have a bathroom in your man cave, I highly doubt you’ll want some flowery toilet paper holder. 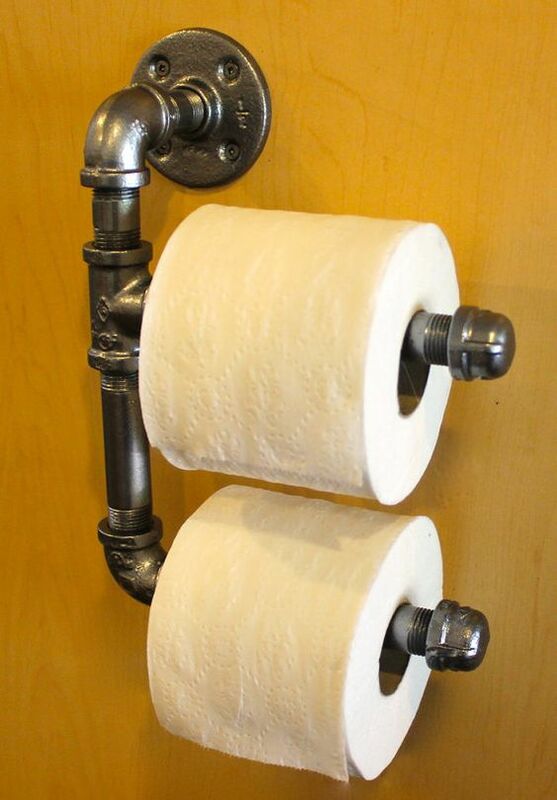 So instead, you can make one of these industrial toilet paper holders. Even your bathroom should look manly in your man cave. This idea doesn’t come with a tutorial, sadly. 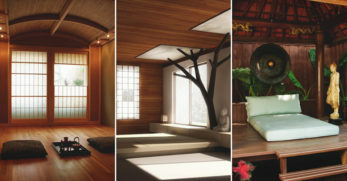 But if you are a handyman you may be able to recreate this in your own man cave. 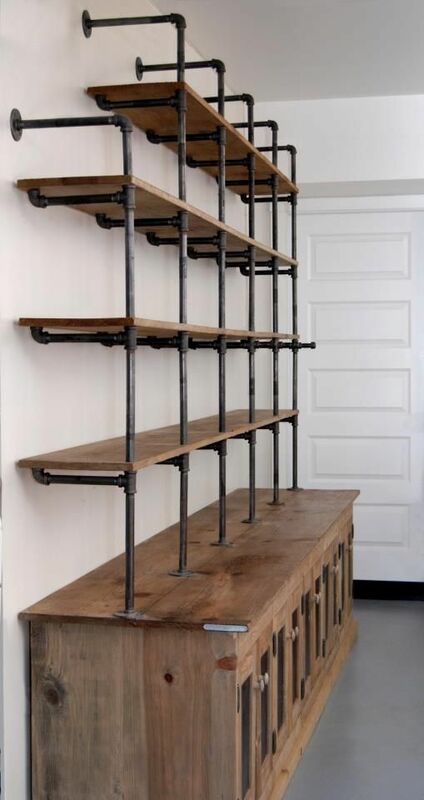 Also, it would make a great entertainment center or even a great space for storage in your man cave. 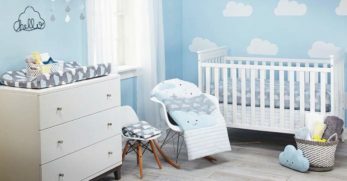 If your spouse agrees for you to have a man cave, then don’t be surprised when they expect you to keep all of your stuff there. 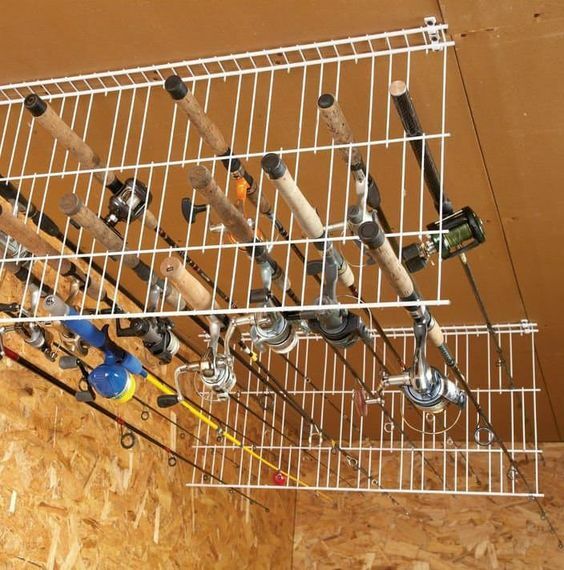 So with this simple wire shelf, you will now have an easy and compact way of storing your fishing poles. That way they’ll be ready to go when you go fishing the next time. A lot of guys like to have a bar in their man cave. If so, then you might want to consider this unique dispenser that looks like a regular faucet. But instead, it distributes multiple different types of liquor. 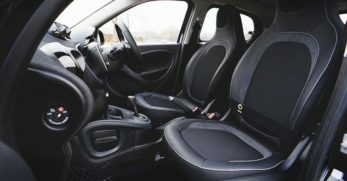 It would be a great way to keep things compact as well. 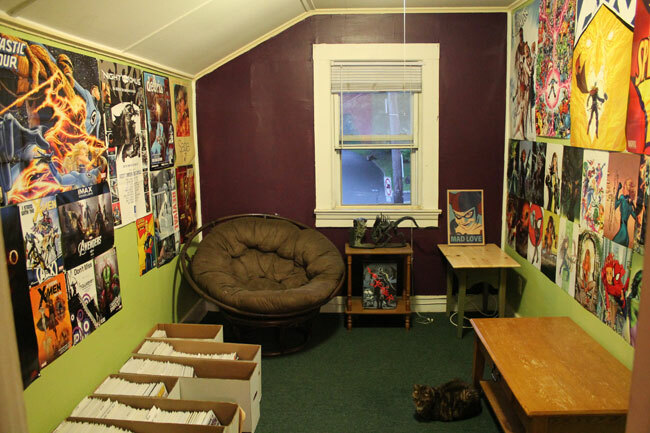 This is a man cave for the comic book lover. It is meant to feel like home for those that love their superheroes. However, I think my husband and I both would fit in this category since we love all of the old comics and superheroes. If you fit into that category too, then you’ll want to check this out. This game looks like trouble, but I’m sure many of your guests might be up for the challenge! Basically, you pop your top, then allow the lid to slide down the board. It will bounce around until it lands in one of the slots. At that point, you have a new task to complete. 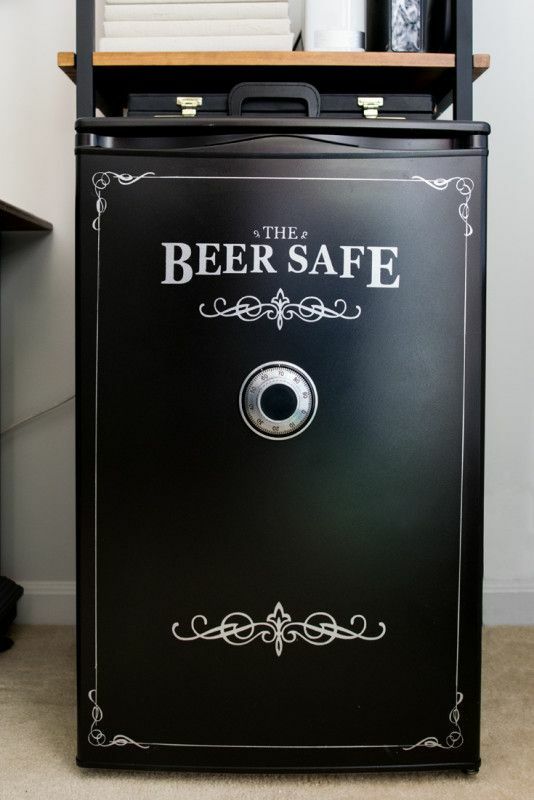 This is something that I feel every man should have in his man cave. It doesn’t matter if you drink or not. It just screams ‘man cave’ to me. 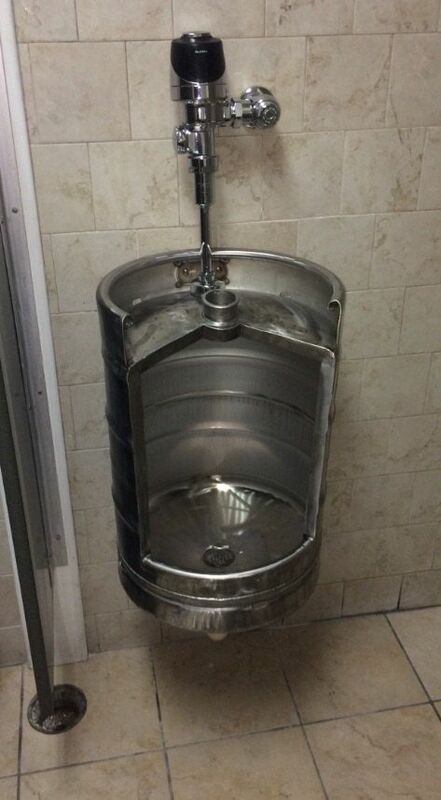 So if you’d like to have a unique place to use the restroom in your man cave, then you should consider this urinal. This is something my husband and boys would love. They are really into Nerf guns and having Nerf wars all over the house. 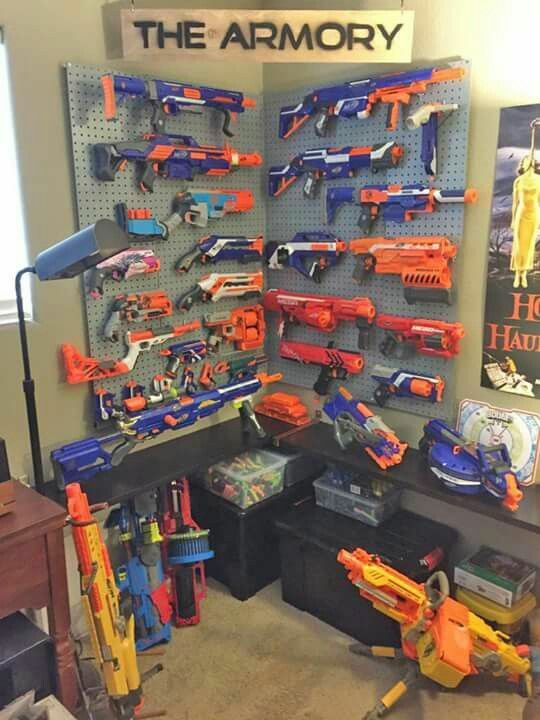 So why wouldn’t having your own personal Nerf Armory be a great addition to your man cave? Creating a man cave but working on a budget? 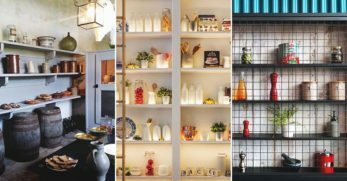 If so, then you’ll love this pallet bar. 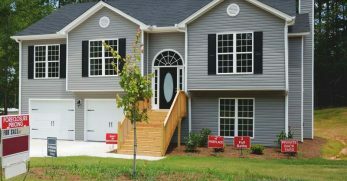 It comes with free plans so you can build it yourself. Also, it looks really good. It could be a great place for you and friends to gather round and have a great time. Do you have a mini fridge in your man cave? If so, don’t leave it plain. Instead, you can follow this tutorial and paint it any way you’d like. But in this particular instance, they painted it to look like a safe. Which I think is really cool because you don’t even realize it’s a fridge. Wouldn’t it be cool to have a hidden man cave? That way no one could just automatically realize it was your space? 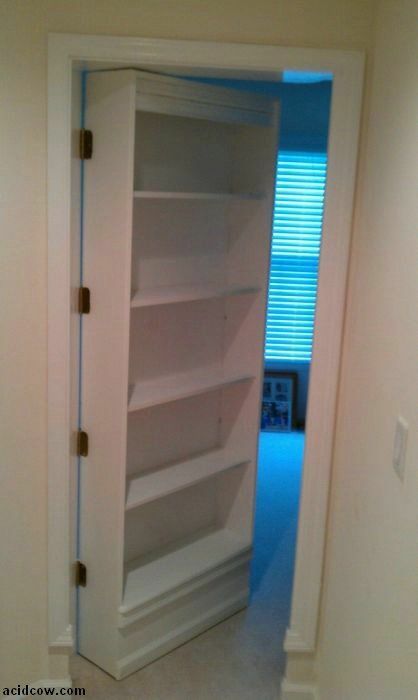 Well, if you think so, then you’ll love this DIY hidden door bookshelf. No one will realize that your man cave hides right behind the bookcase. 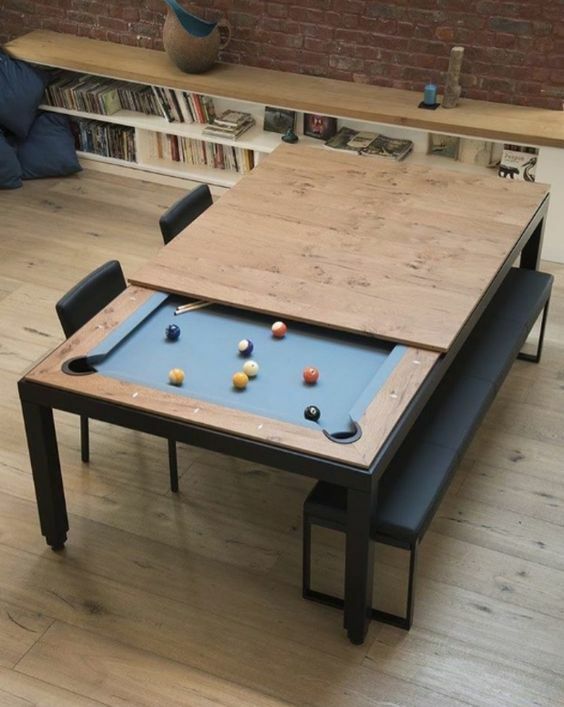 This game table looks like a neat addition to a man cave. You can easily play multiple different types of games on it. 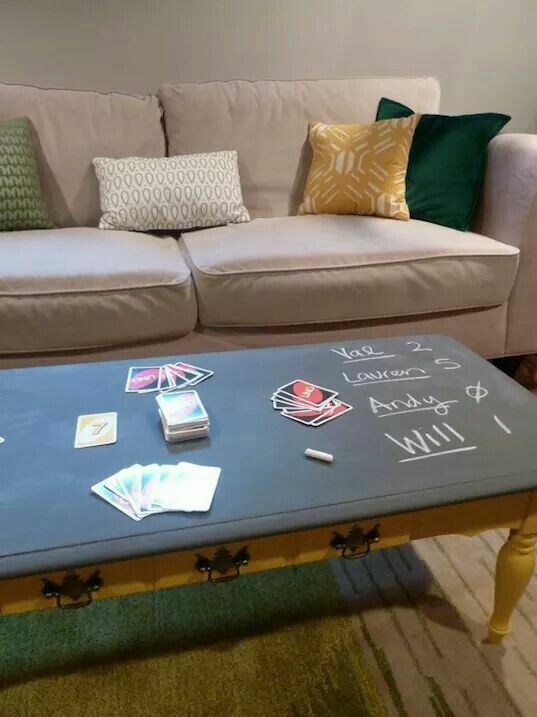 Plus, you can even keep score right on the table since it has chalkboard paint on it. 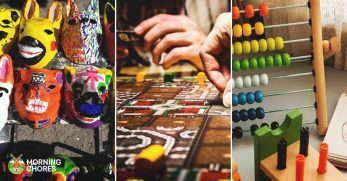 It certainly makes game night a little easier. 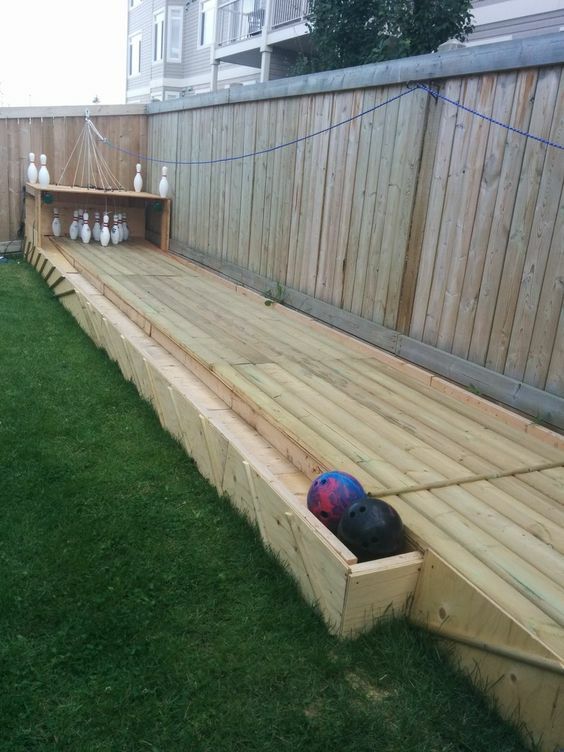 If your man cave area is your backyard, then you’ll love this DIY game. 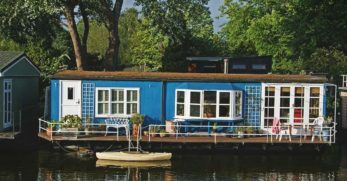 You can build it completely yourself, and it doesn’t appear to be super expensive to do. But you construct your own bowling lanes. Then you and your buddies can bowl the night away. 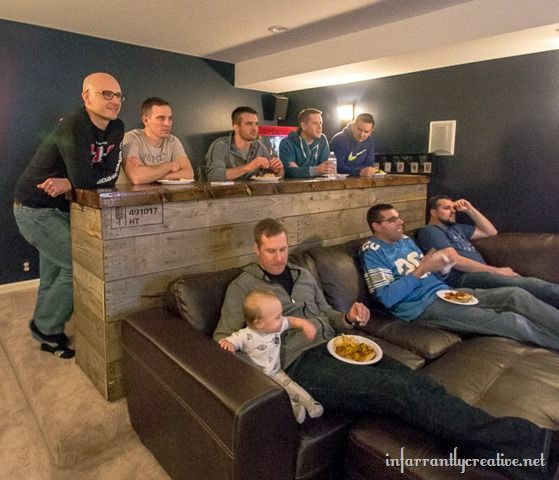 Is your man cave going to be themed to be more like a media room? If so, then you’ll love this concession stand. 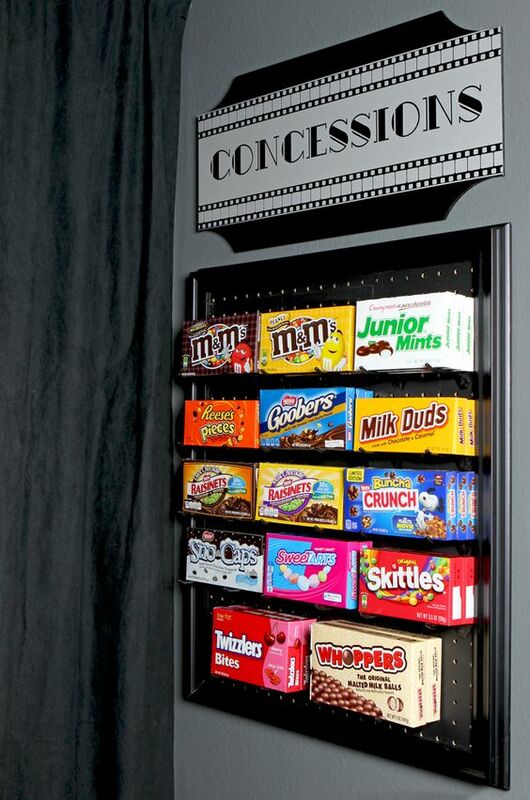 Basically, you hang a shelf on the wall with the movie concessions décor. Then you’ll fill it with your favorite candy. This bar is really unique. They have it set up to where your liquor is on top and ready to free pour. Then they used industrial type knobs to control the flow. This would definitely be a personal touch to any man cave. 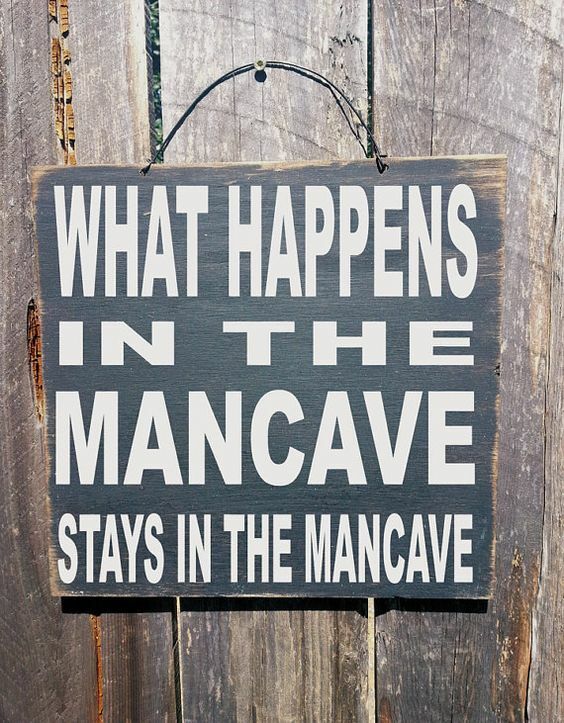 This sign reads ‘What Happens in the Man Cave Stays in the Man Cave.’ Adding signage to your man cave is a great way to give it a personal touch. Plus, it isn’t costly to purchase. You could even use this idea to create your own version of the sign as well. This table is very unique. 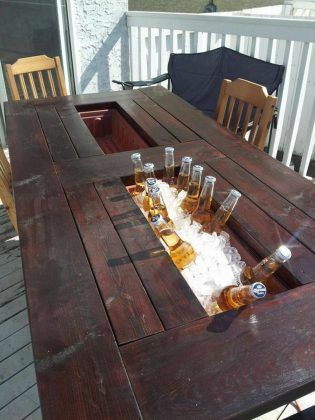 If your man cave is an outdoor space, then you’ll want to tune into this table because it is a cooler and table in one. Basically, the table has large slits in the middle. They fill this area with ice so it can keep any beverage cold while you dine. Basement man caves can feel kind of like a dungeon. 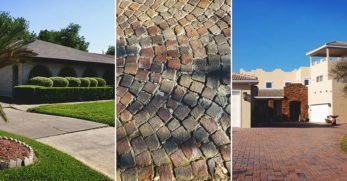 That is why you might want to brighten it up and add a little something special to the area. 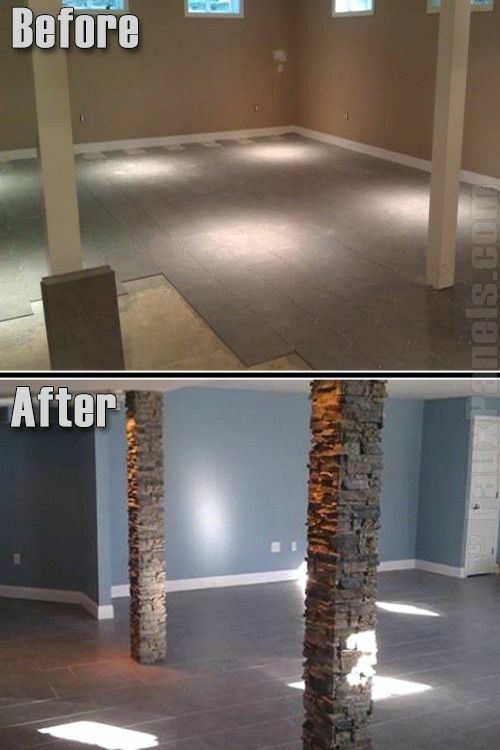 So a great way to do this is to turn the poles in your basement into faux stone columns. Hopefully, this picture can inspire you. 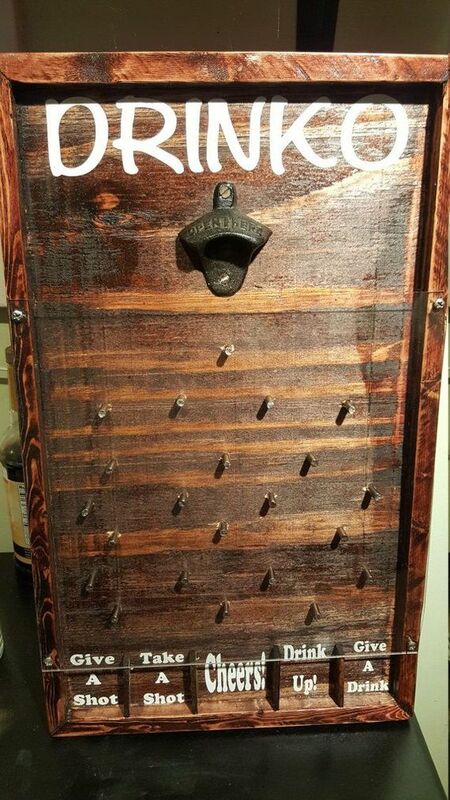 If you’d like to have some creative storage on the walls of your man cave, then you’ll probably love this idea. 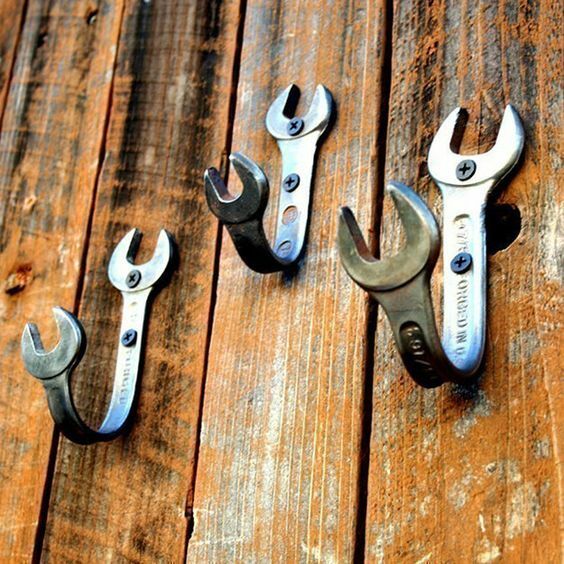 So they took wrenches, curved them, then screwed them into the wall. It would make great coat hangers or even a place to hang pictures. This is a great way to make a unique and inexpensive coffee table for your man cave. All you’ll need is a piece of round glass and a couple of tires. 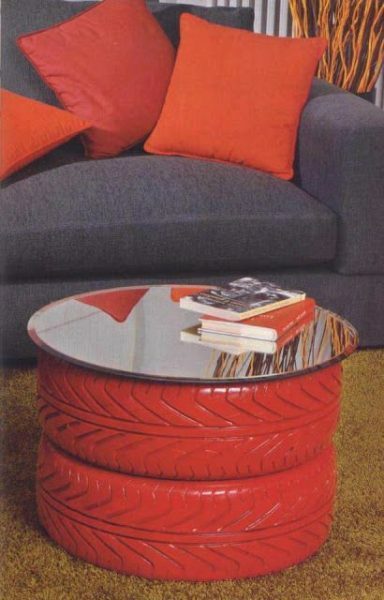 Then you’ll just stack the tires, paint them the desired color, and slide the glass on top to complete the table. This sink would be a great addition to the bathroom in your man cave or even in a kitchen area. It is definitely unique so you’ll want to show it off. 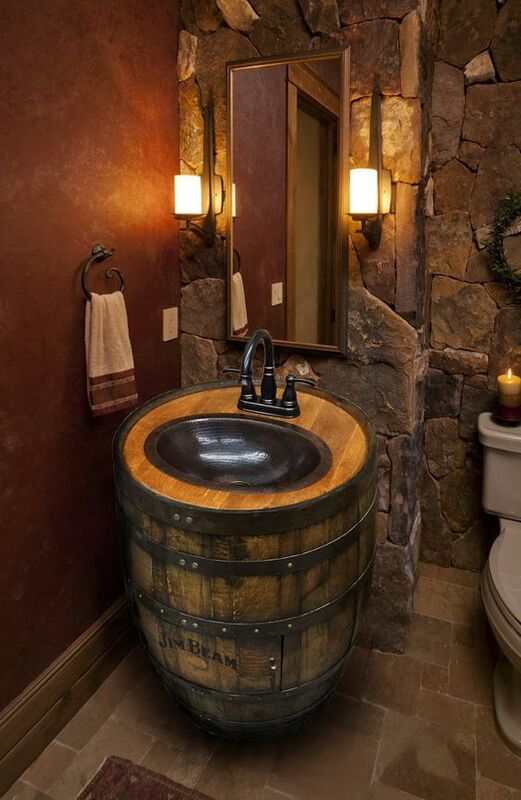 So if you need a sink in any part of your man cave, then you might definitely want to consider this whiskey barrel sink. If you plan on having a bar in your man cave, then you’ll probably need a way to hold all of your shot glasses. 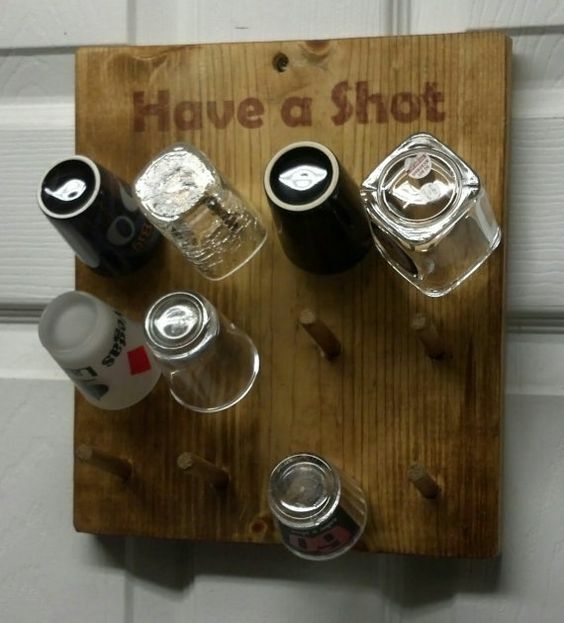 If so, then you can purchase a shot glass holder like this one, or use it as inspiration to make your own creation. 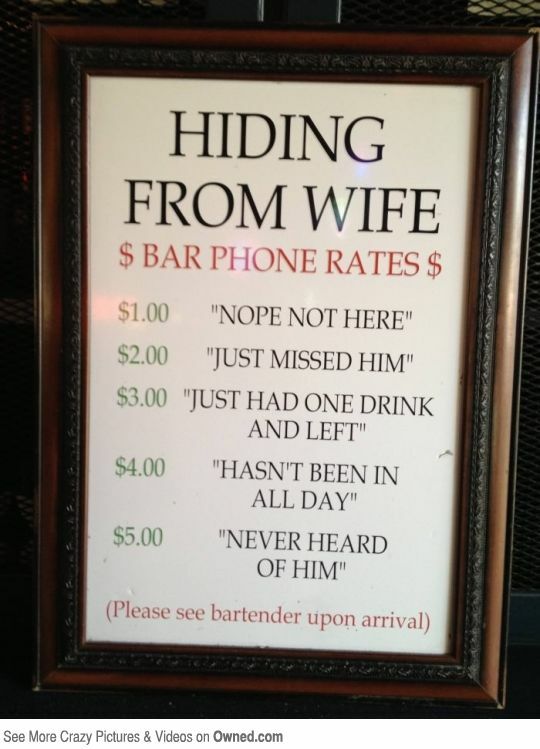 This sign is quite humorous and would be a funny addition to your man cave, especially if you have a bar located inside of it. Basically, it shows how much you’ll charge to cover for your buddies when they’ve stayed in your man cave too long. This is another funny sign that would be a good addition for your man cave. You can purchase this sign, or use it as inspiration to make your own. Either way, this sign would definitely be one that would catch the eyes of your guests and bring about a few laughs. Would you like to have a unique coffee table inside your man cave? Maybe you’d like to have a wooden table by day and a glowing table by night? If so, then you’ll love this tutorial. It shows you how you can have just that. These cabinet knobs are something that caught my attention because I know my boys would love them. They like to hunt so I know they’d love this. 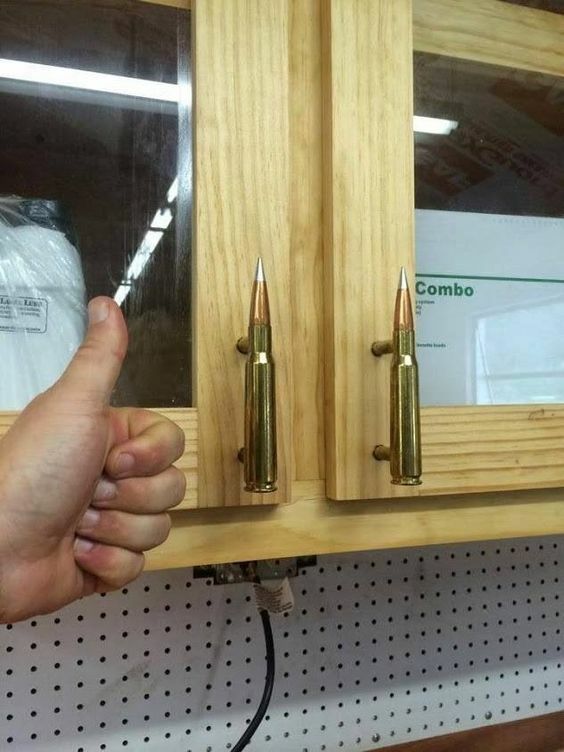 So if you are a hunter or just someone that loves guns, this would be a cool way to open and close your cabinets. 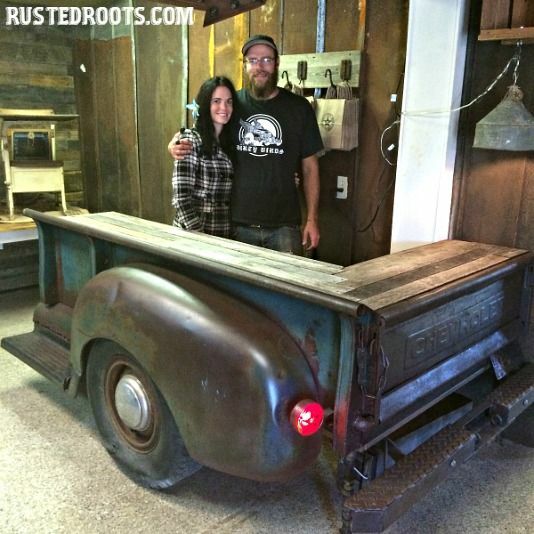 This is another really cool way to have a unique coffee table in your man cave. This table is called the Infinity Table. 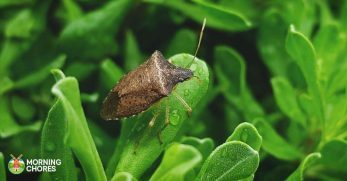 And there is an in-depth tutorial that will help you to build it. It has lots of lights with cool effects. 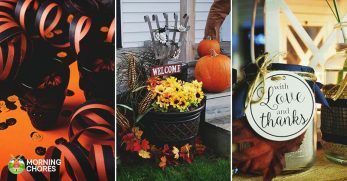 It will be something that will definitely have your guests talking. 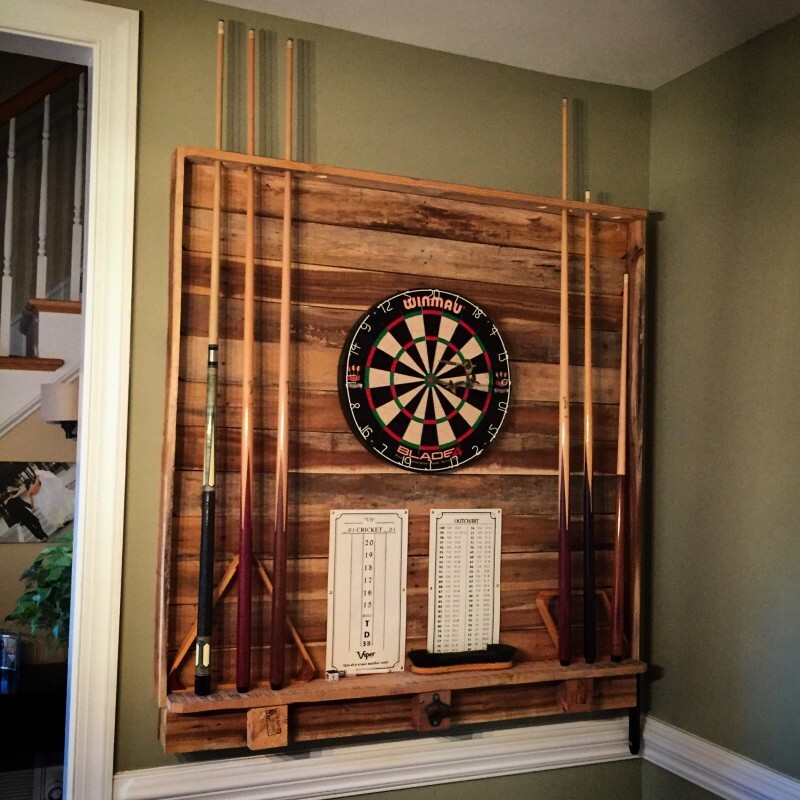 This rack is something every man cave needs if you plan on having a dart board and pool table. 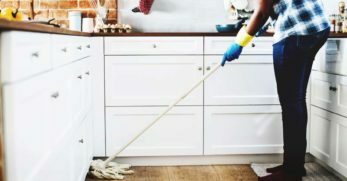 It is a great way to keep everything organized. Plus, it looks nice and should fit into most any man cave décor since it is basic wood design. These lights are really neat looking. You can purchase them through this link, or use this picture as inspiration to inspire your own lights. 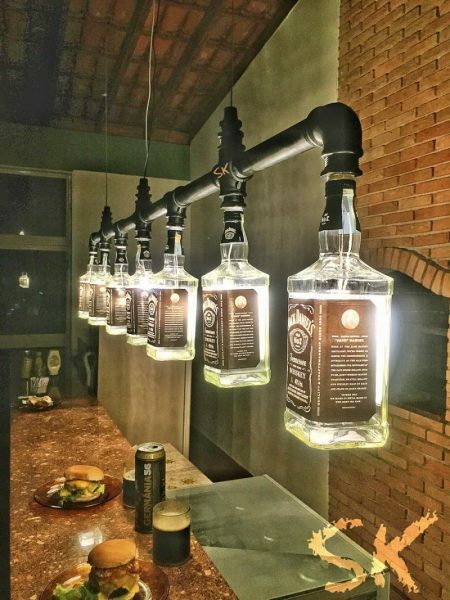 However, these lights would definitely be a great fit across any bar. You could even reuse bottles you’ve emptied already. Not everyone wants a pool table in their man cave. Instead, they prefer a ping pong table. 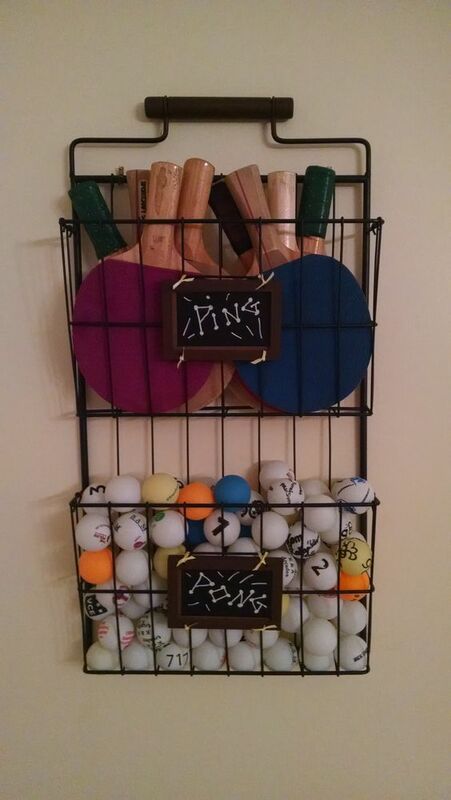 However, you’ll need an easy way to store all of the ping pong supplies. 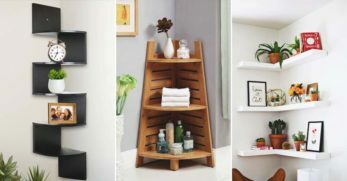 Thanks to this transformed shower caddy, you now have just that. Are you planning on having a ton of gaming systems in your man cave? 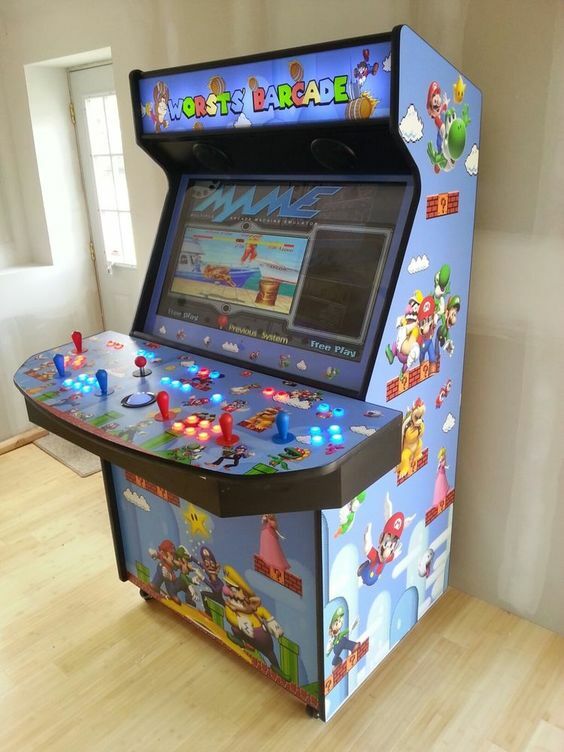 If so, then you’ll love this gaming cabinet. So it has a place to store all of your gaming equipment and has a charging station too. 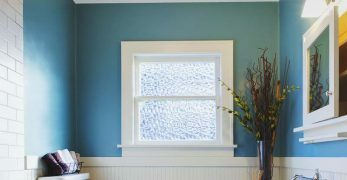 The best part is it is a DIY project which usually equates to money saved. 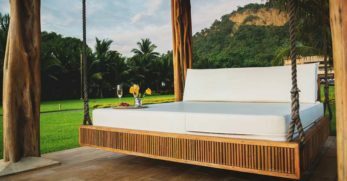 Is your man cave going to be an outdoor area? If so, you’ll need a way to keep your drinks cool on hot summer days. 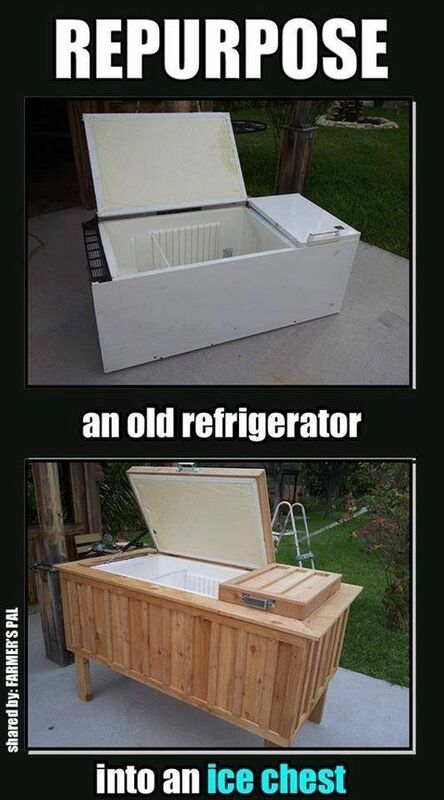 Well, if you can find an old fridge, then you can follow this tutorial and turn it into the perfect giant ice chest you’ll need. This table is really awesome. 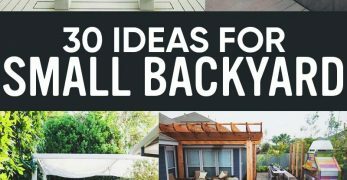 Especially if you are working with a more compact man cave area. Maybe you don’t have room for a card table and a pool table. Thanks to this table you can have two in one. This picture is meant to inspire as there is no tutorial on how to recreate it. 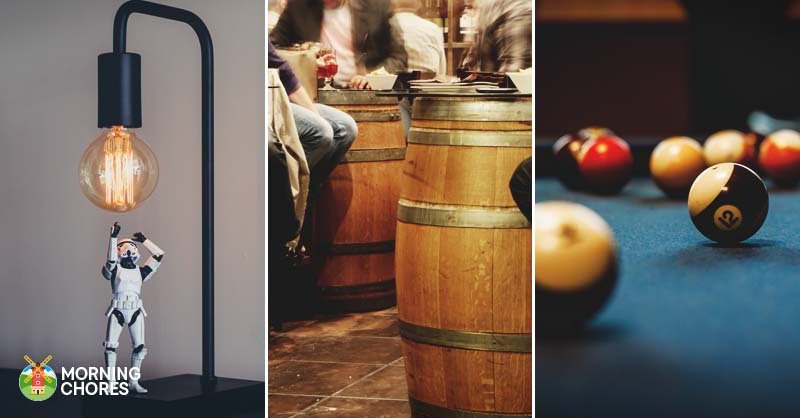 Well, you now have over 40 different options for décor to create your perfect man cave. 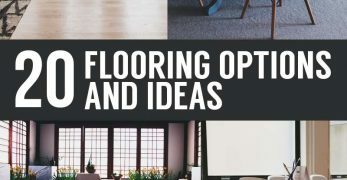 I hope some of these ideas will inspire you so you can have an enjoyable space. 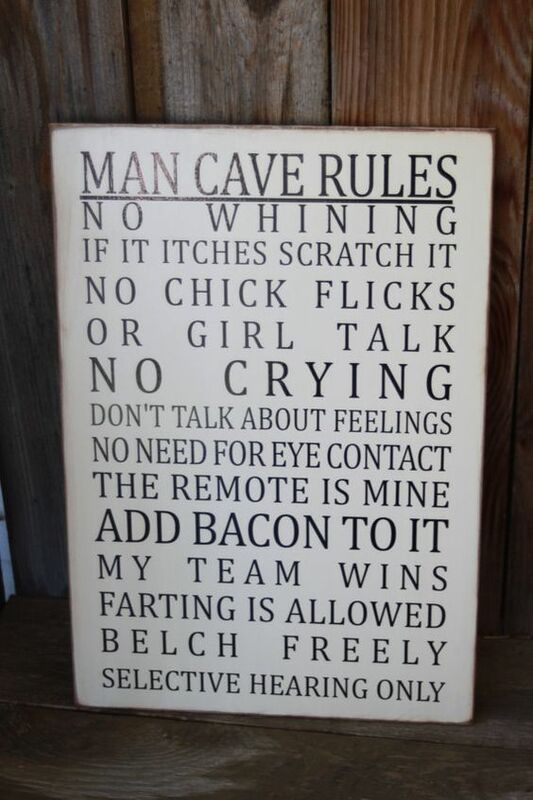 But I’d like to know, what are some items you think are absolutely necessary to have in a man cave? What are some items you don’t really need in a man cave?